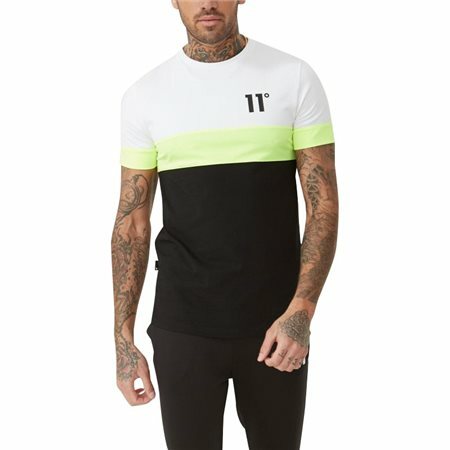 Stand apart from the crowd with this unique triple panel t-shirt from 11 Degrees. Perfect for the gym or the streets, made from a comfortable cotton stretch blend in a regular fit. Finished with a curved hem and the iconic 11 Degrees logo on the chest.